Wah gwan bredren?! Everyone loves Caribbean food right? Curry goat, jerk chicken, rice and peas, saltfish and ackee, fried fish, festivals, curry patties. The canon of West Indian food is like comfort food for spice lovers. But I had big issues with curry patties though, for some reason the bright yellow patties from the likes of Island Delight never cut it with me. They were well rarted! The pastry is crumbly and dry and the filling is like some kinda slop, give me a Ginsters any day. 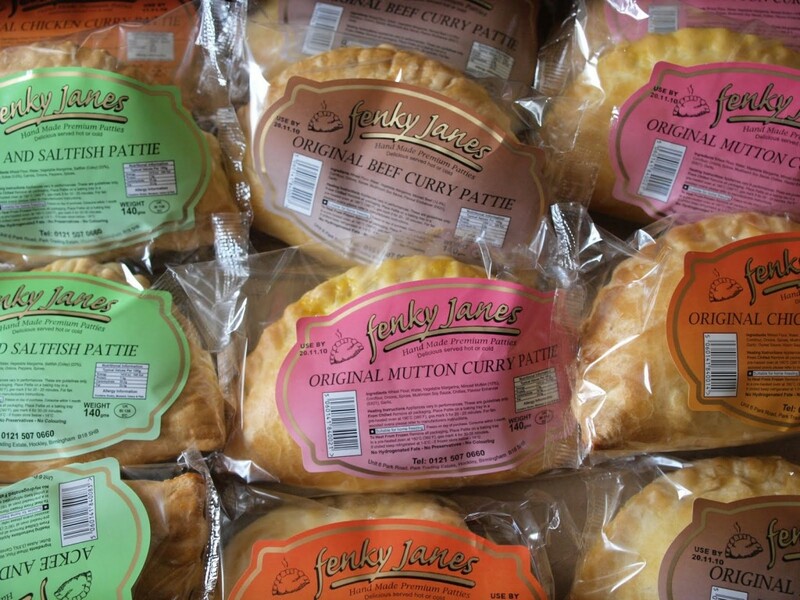 Fenky Janes Caribbean Patties are a local treasure. Find them in discerning West Indian outlets or better still get them from the small factory unit in Hockley. Buy them by the dozen because they freeze really well and you can bake them from frozen. The flaky pastry is perfection and all the fillings are great but my fave is the Ackee & Saltfish. Quite simply you have not eaten a curry pattie until you have tried one of these. They are proppa!